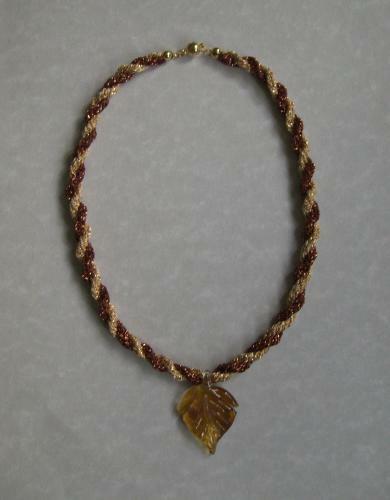 This necklace uses two knitted cords twisted together with a pendant added. Kit contents 2 x 10 yds lurex, matching pendant, magnetic fastener, instructions. Required scissors, PVA glue, weight with hook (Heavy bead with paper clip opened and pushed through hole would do). Instructions are also included for a plain necklace and a chunky necklace, both with pendants.